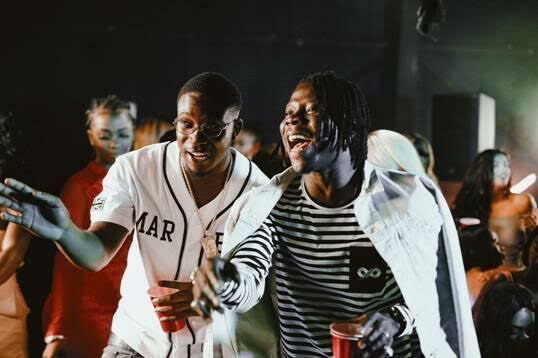 Stonebwoy shot to International fame in 2014 with his hit single ‘Baafira Feat. Sarkodie’, but the burgeoning dancehall act initially started performing as a rapper In high school, occasionally appearing on a then well-known rapping battle ‘Kahasari Level’ defeating established acts such as Dr. Cryme and Sarkodie. This led to him being signed to Mobo Award Winning Dancehall act Samini’s own record label, and after releasing his first album ‘Grade 1’, he went on to form his own musical movement ‘Burniton Music Group’ (BMG). ‘Falling Again’ is taken off his next studio album EOM (Epistles of Mama) which is scheduled to be released November 2017 under Zylofon Music.